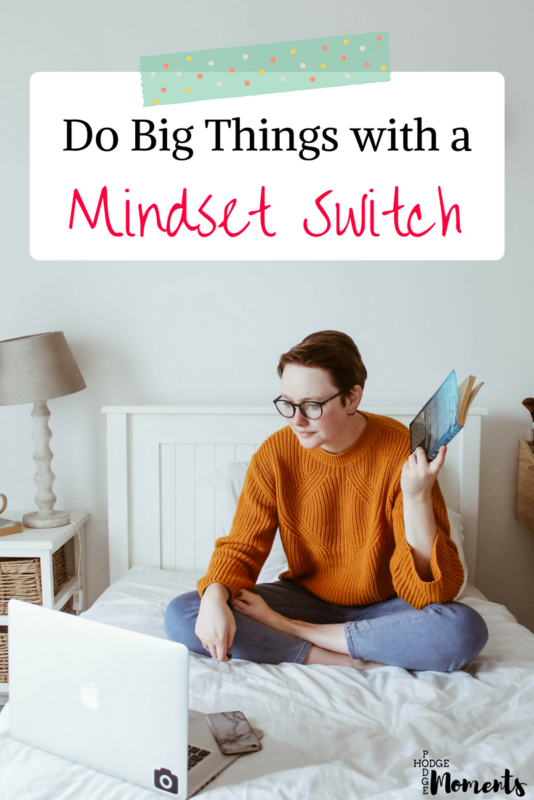 You may have seen the term mindset throw around a lot lately, especially if you’re hanging out in blog and business groups on Facebook. Many entrepreneurs talk about how changing their mindset made a huge difference in their world – both personal and business. 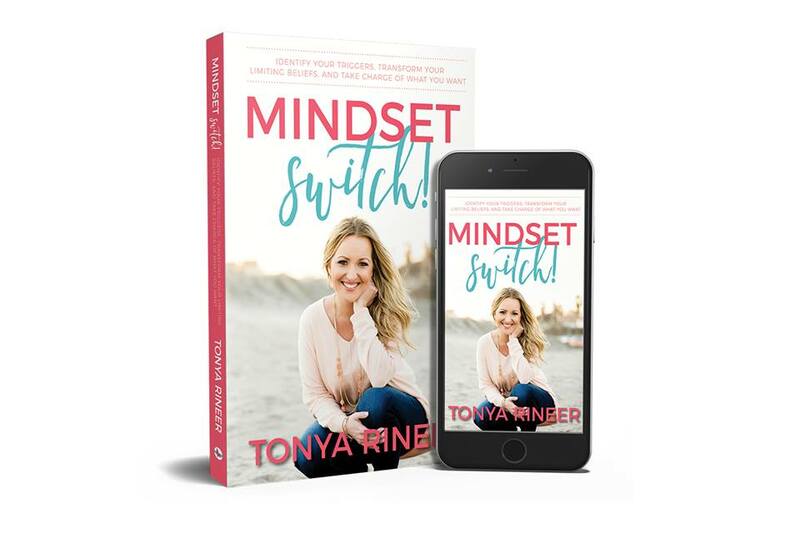 I’ve been working on my own mindset lately, so I was really excited when I saw that Tonya Rineer of The Profit Party was writing a book on the topic. I have learned so much from her podcast that I was more than excited for her book to come out. Then, I was selected to be a part of her launch team and my excitement went through the roof! She sent over an advanced copy of her book and I got to read it before the general public. Today, I’m sharing my thoughts and even giving away a signed copy so that you can make your own decision about the book! I’m going to start by saying it’s not very often that I receive a free advanced copy of a book and then turn around and purchase an additional copy for myself. This is exactly what happened with Mindset Switch. The advanced copy came to me in a PDF version and I quickly downloaded it to read. And then, I realized that I don’t like reading books in PDF version. I worked my way through it just so that I could do this review. However, when the book went live on Amazon, I quickly purchased the Kindle version because I plan to read this book again and again. The workbook is actually the first thing I want to talk about in this review. I love that there’s a workbook at the end of this book. (Yes, I’m talking about the end of the book before I touch on the beginning.) The workbook gives the reader an opportunity to put the lessons they learned into practice. 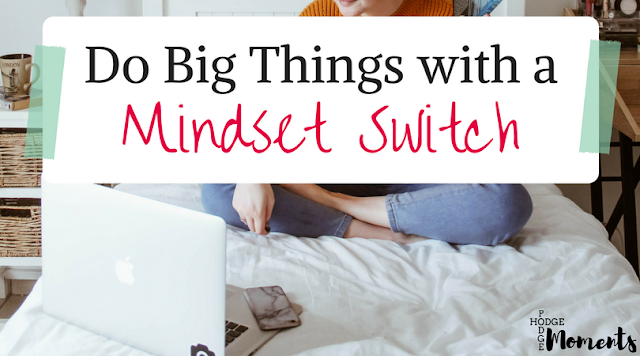 It allows you the opportunity to work through your own limited mindset so that you can switch to a growth mindset. Tonya discusses both of these types of mindset and how they impact our lives in her book. She digs deep into her past and shares the real, raw story of how she went from being a homeless, pregnant, 15-year-old who lost her mother to an addiction to the strong, successful business woman that she is now. She uses her own life as inspiration for the many things she teaches to her audience on her podcast, in her group, and within the pages of her new book. She is constantly drawing from personal experience and I love that. It makes the story and lessons so much more real. If you’re looking to adjust your mindset about money and life, then I highly recommend picking up a copy of Tonya’s new book. In fact, I would venture to say that it’s probably the only book that you’ll need on the topic! Now, I’ve kept this review short and sweet for you. I’d much rather you head over to Amazon, grab a copy of the book, and work on your own mindset so that you can do big things in your life! Want a chance to get a signed copy of the book? Head on over to Amazon, read through the description, and tell me what stood out to you in the comments below! I’ll pick one answer by random to win a signed copy of Tonya’s book! Will you be the winner? Get Access to the VIP Goodies! Simply fill in your information below to be added to the newsletter list. I'll send you a weekly update and you'll get access to the growing free library of resources for bloggers and moms. I'm so excited you signed up!